Vacation rental house. 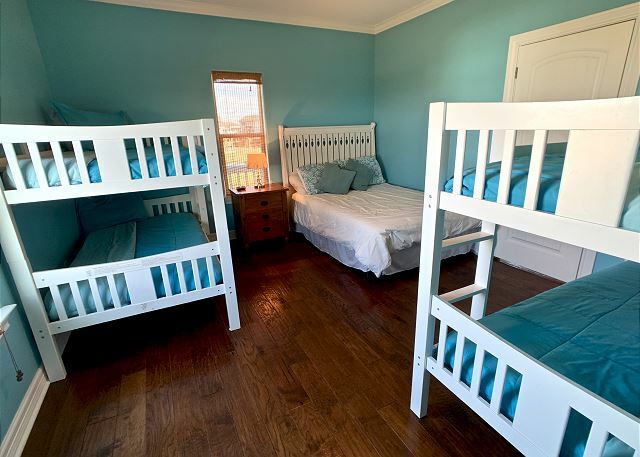 Sleeps 12, 3 bedrooms, 3.5 bathrooms. Dogs allowed. Beachfront escape in the Copacabana Subdivision! 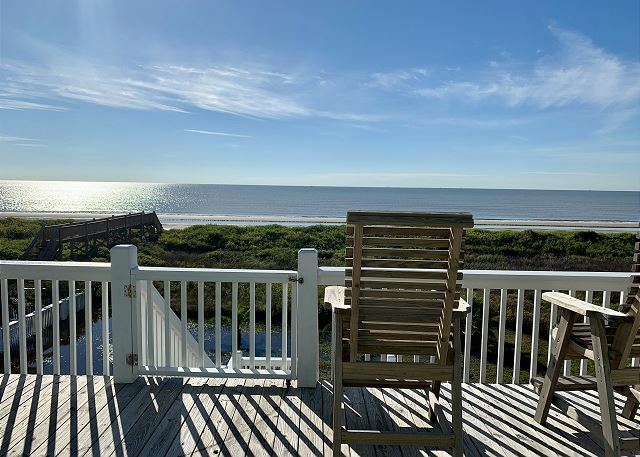 This spacious pet friendly vacation rental is perfectly designed for a family vacation or couples vacationing together. 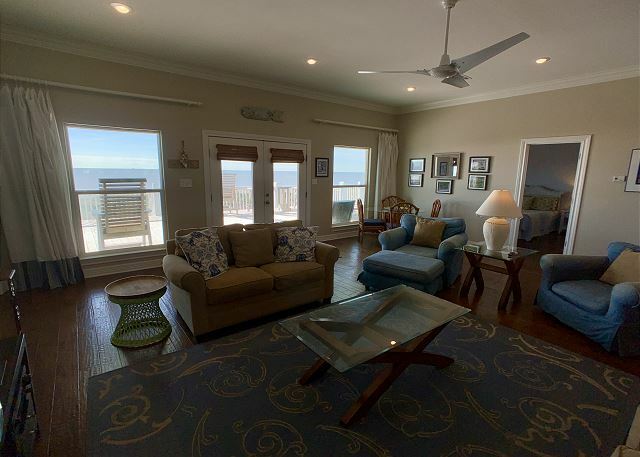 In the open living area you'll find a comfortable seating area that's the perfect place to appreciate the stunning Gulf view. 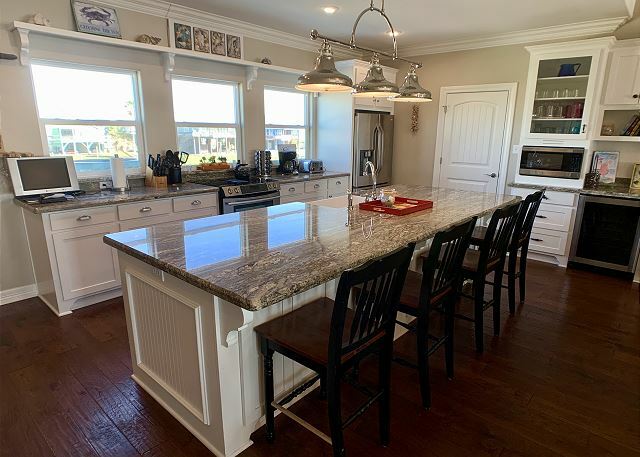 The kitchen features plenty of cabinet space, a pantry, an island that is great for food prep, stainless appliances, and granite countertops! Also includes a wine cooler and beverage cooler! Enjoy your meal and the view from the dining area, or head out to the deck to dine al fresco. 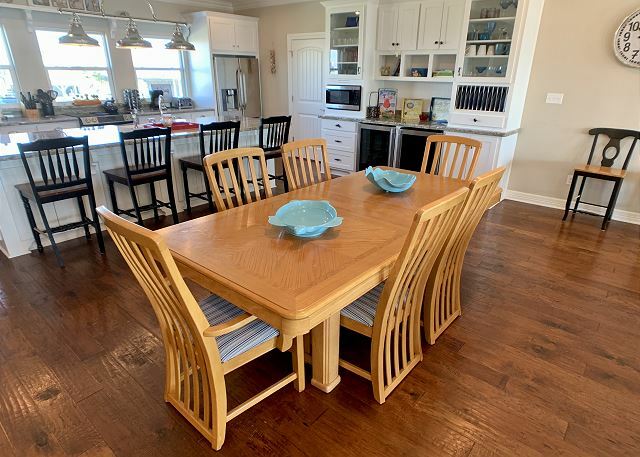 Seating includes a table for 6, a table for 4, plus up to 6 can sit at the breakfast bar. 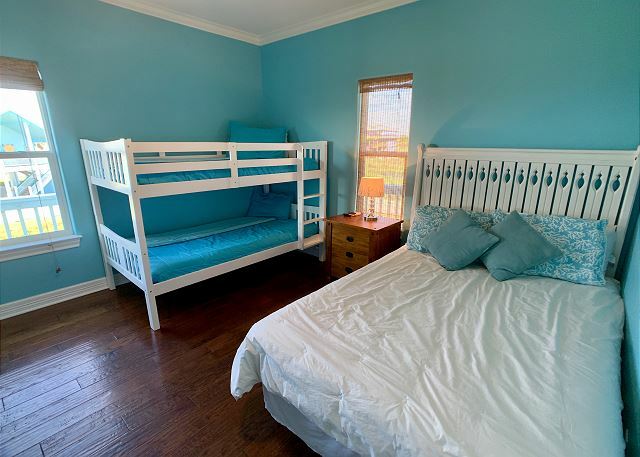 Three bedrooms, each with their own full bathroom, large closets and TV/Satellite, provide plenty of space for everyone - the king and queen bedrooms are perfect for adults, and there's a room with two bunk beds and a full bed for the kids. The master suite, with its spacious bath and deck access, will definitely be the perfect retreat for a couple looking to relax. 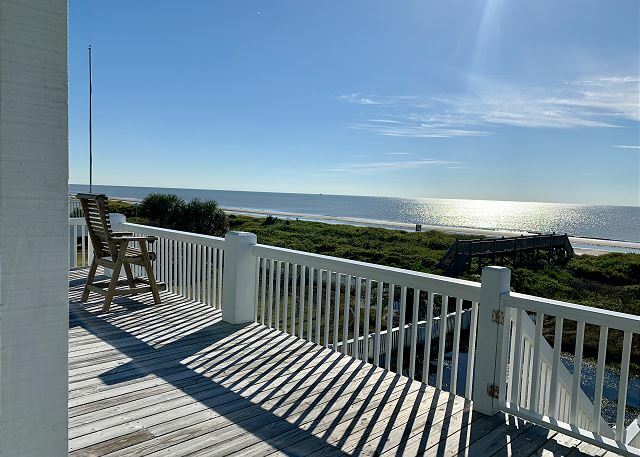 When you are ready to head out to enjoy the sun and the waves, the beach is just a few steps away. Master Bedroom (King), Bedroom 2 (Queen), Bedroom 3 (2 sets of Twin Bunks/1 Full), Living Area (Queen Sleeper Sofa). 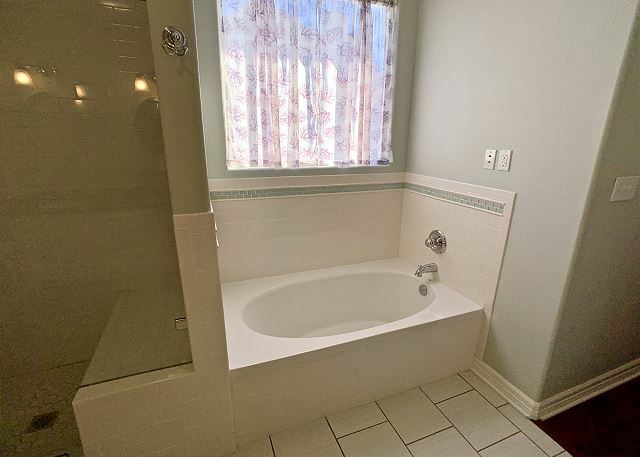 Master Bath (Garden Tub/Walk-in Shower), Bath 2 (Shower), Bath 3 (Shower), Half bath in the Living area. Copacabana has walk over access only, for golf cart and car access use So. Cove Rd. This home works well with PAPA RIC'S HAPPY PLACE and BALI BEACH HOUSE. Awesome place. Lots of room for all the friends and family that came into town for our daughter’s graduation from UTMB. Great vacation home! Location was perfect, right on the beach. Very nice neighborhood. Excellent Beach home. Appears to be professionally decorated. Kitchen very well stocked with appliances and kitchen ware. Particularly liked having bathroom with each bedroom. Teens excited to have WIFI, which I don't think was listed as an amenity. Great selection of deck chairs. Has walkover to the beach, but there is no beach access with recreational vehicle. Subdivision has more houses built than what the picture reflects. Everything was fantastic! We will certainly return. We stayed for one week, and found it hard to leave. The kitchen was fully stocked with cookware and storage. There was even a spice drawer. Awesome refrigerator! 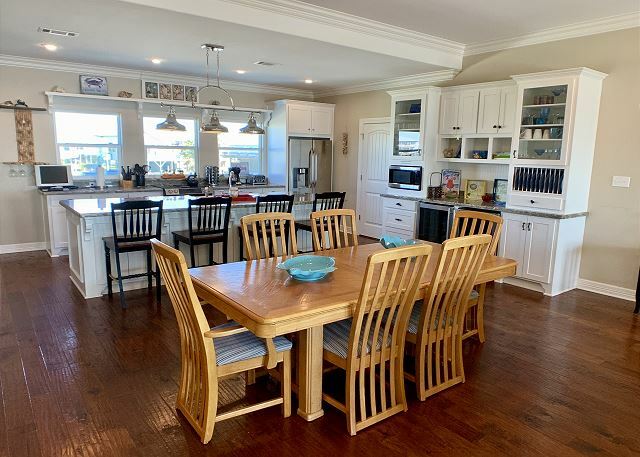 Plenty of room for family in the kitchen. There is seating for 25 in the great room/dining area/bar stools. We enjoyed a nice coffee pot with mugs. 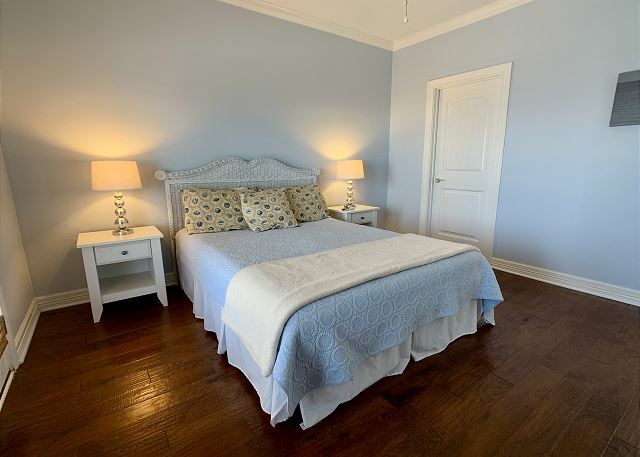 The bedrooms were lovely and linens were provided in excellent condition. 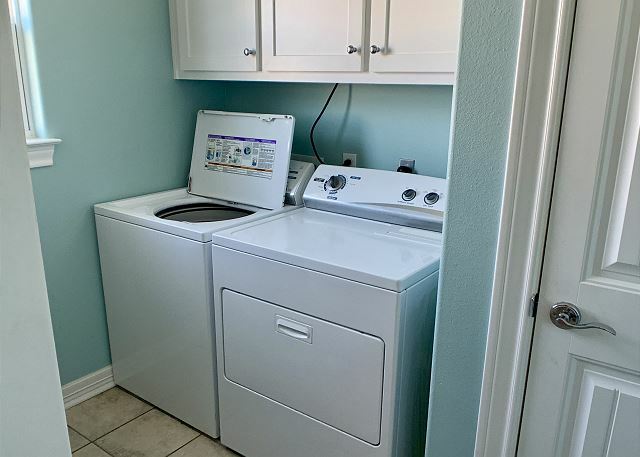 We used the washer/dryer with no issues. There were only 4 kitchen towels, so we did have to wash those several times. The front door knob is hard to open, but we got the hang of it pretty quick. 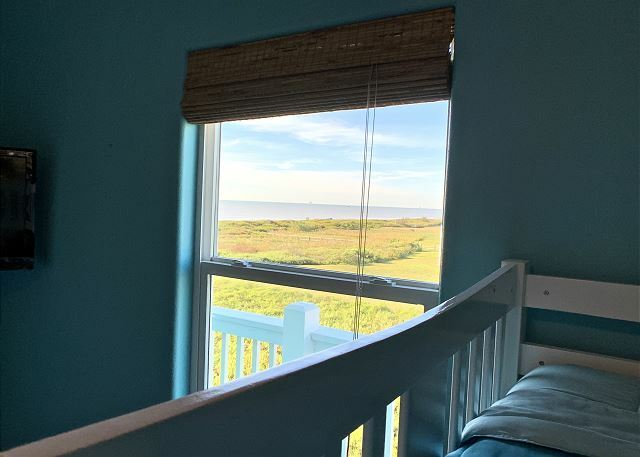 The front bedrooms have awesome beach views. The small bedroom door wouldn't open, but it wasn't a concern. Overall, AMAZING STAY!!! We stayed here for a weekend getaway, time to spend with kids and grandkids and relax. 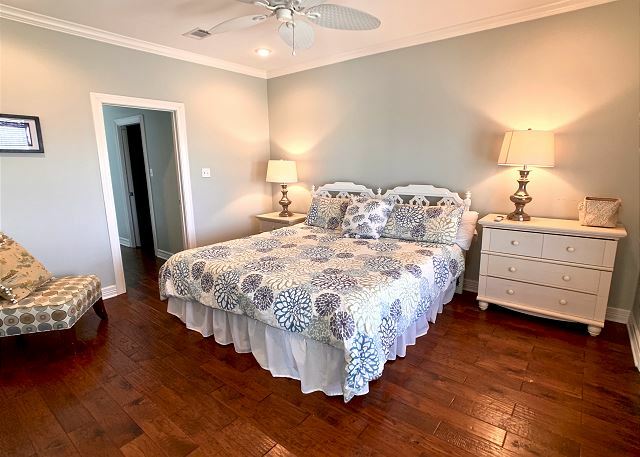 This home is beautiful and loved the setup of bedrooms and bathrooms. We enjoyed our time here and would highly recommend this home to anyone looking for a nice place to stay. 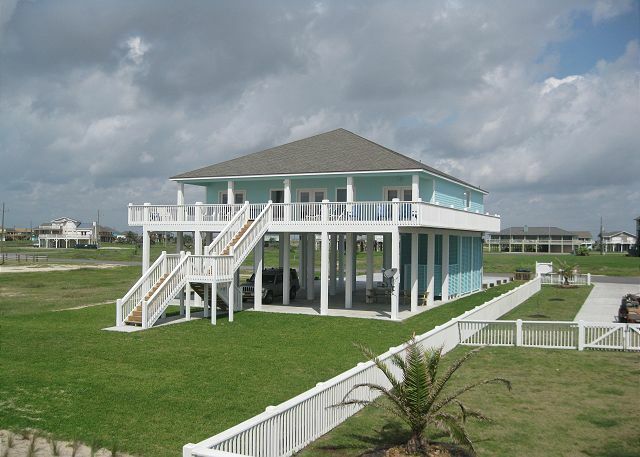 Also I've used Cobb's for previous rentals in Crystal Beach and they are great, they make the rental process so easy. Lovely home. Beautiful accommodations and well maintained home. Looking forward to next year. LOVED LIFE AT THE COPA! The deck and privacy were amazing. We LOVED this property. 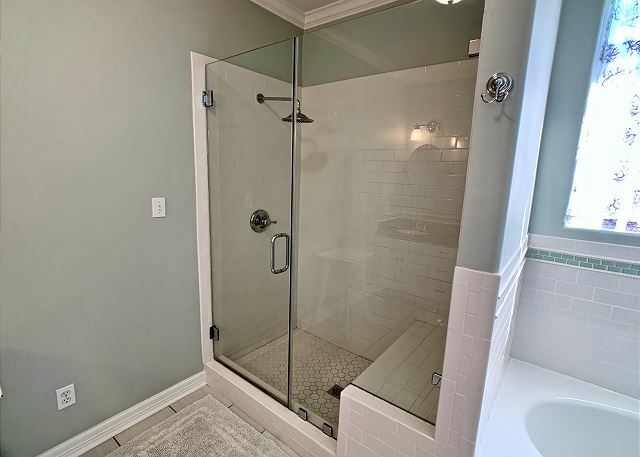 The ONLY thing that would make this spacious home better would be an elevator or lift for the handi-capped and helping hands! Once again, we loved every moment of our experience at the Copa. Every detail was perfect. The location is outstanding and the cabin is just beautiful. Hopefully, we'll be living at Crystal Beach on a full-time basis soon. Until then, the Copa will be our regular retreat. 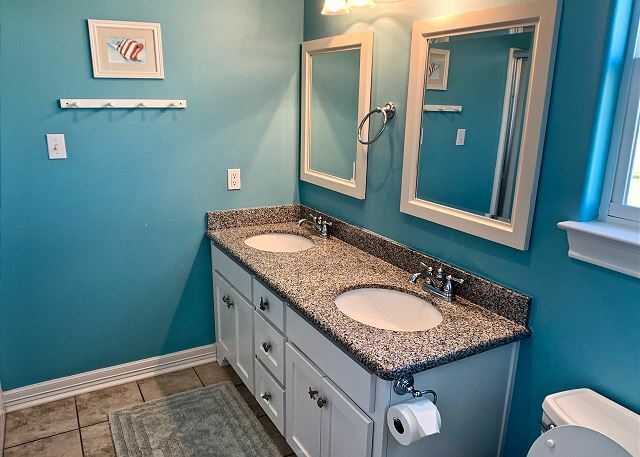 Beautiful house, spotlessly clean, excellent location. Minor glitch issue with Internet immediately taken care of by Cobb: thank you Barb! We've rented beach houses and condos for years from Nantucket to Newport Beach and I can truthfully say we've never had a better experience with any rental company than that of Cobb. It's obvious that they truly care about creating a positive experience for their customers. Both the house and the agency are highly recommended! We all had a wonderful time. The home was beautiful and was perfect for us. We had plenty of room and the floor plan was good for us all. We liked the location of the home - beach front and not far from a grocery store. We would definately come back. The only thing were the mattresses could be replaced for better comfort. Good. Exactly what we needed. The Coba was a delight to stay in. The house and grounds were very clean. The house was very very nice, we enjoyed staying there. Anything you needed was in the house. But after a 7 hour drive, making up all the beds and putting the towels in place That Was A Real Drag. We especially liked the fact that the beach was just over the dunes. The location of the house was only a few minutes drive from all sources of supplies that you may need, and restaurants. I recomend eating out at the Stingaree and Steve's Landing two great places for food and scenery!!! Besides the food, All the waiters there are awesome!!!! A great place to stay and relax. Copa Rental for New Years! Family had a wonderful time although weather was not very good. 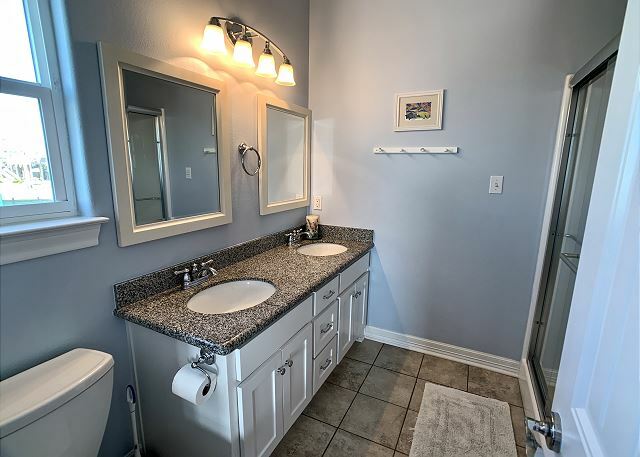 The home was very clean and would like to rent it again! The family, 12 of us had a great time at the beach again this year. The seaweed wasn't too bad and we made our annual pilgrimage to Galveston for fun and fresh red snapper. The house was very comfortable and we had the spectacular view right on the beach. Looking forward to next year. Second year to vacation at the Copa with Family and Grand kids, Wonderful vacation. The Property is great, Management welcomed us with open arms. Will be back next year. Everything except the seaweed on the beach, met or exceeded my expecrations. We had a Great Stay at the Copa. Would recommend this Beach Home to everyone. Loved it! Third time to stay at Copa. Great 1st row view. House is furnished well. Family had a great time. Waiting for another return trip. 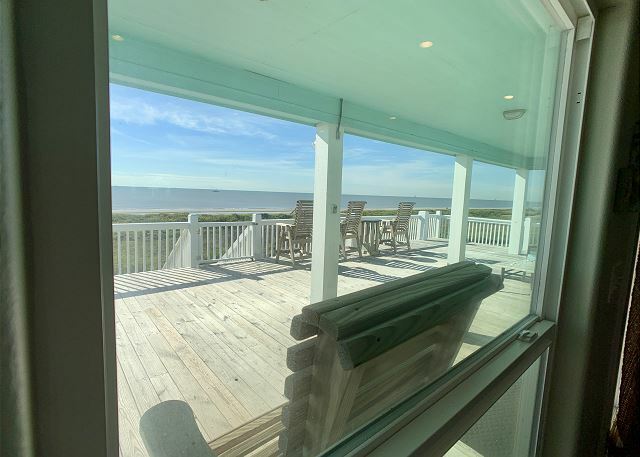 Crystal Beach is making a great come back, with Steves Landing, Stingray and other great places to stop and check out. Just a great place to relax and listen, watch or play in the waves. What a wonderful week we had at the beautiful Copa. My husband and I spent a couple of days there alone, and then had other family members come up to enjoy the rest of our vacation with us. A luxurious cabin on a beautiful stretch of beach, we lacked absolutely nothing. Everything you might need for a relaxing family vacation or romantic getaway has been provided. We rented a golf cart and had easy access to the whole beach. Close to everything, but yet private. The entire cabin and all of the contents were in excellent condition with everything in working order. I foresee us making a yearly visit to the Copa. It was that perfect. 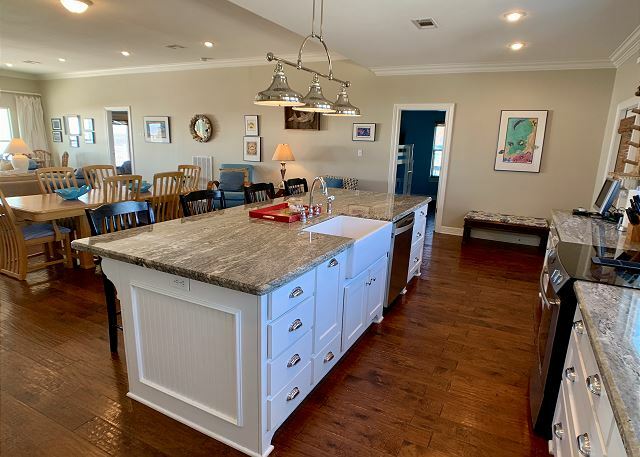 This property is in an awsome location and neighborhood, we had a fun filled and relaxing vacation with family and grandkids. 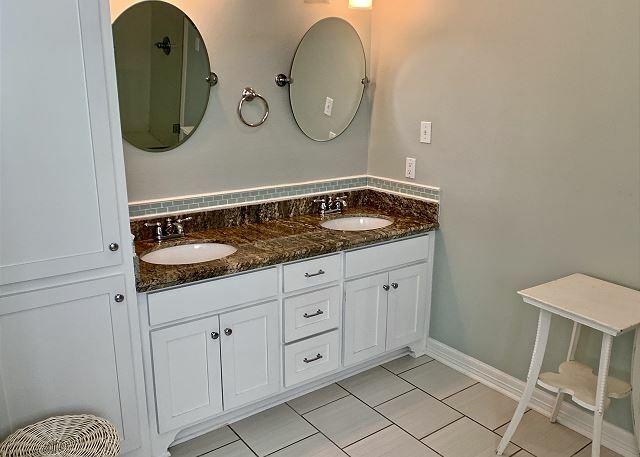 The home was very clean and maintained, and the management company (Cobb Real Estate) where awesome, will be back next year. This was a great place. I would recommend the Copa to anyone. We really enjoyed the property and all the amenities. We look forward to coming back next year. We have used Cobb Realty many times in the years past. Thanks again for the memories! We always enjoy visiting Crystal Beach. Houses like this make our stay a pleasant one. Stayed at this house last year as well. I can say that 1st row is the way to go. At night relaxing on deck with the sound of the waves. Ready to come back. The property was very good as represented, however the service and courtesy was great, it reminded me of service of years gone past. We had a wonderful time at Copa. It is a lovely house in a fantastic location. It is very well supplied with kitchen appliances and utensils. The view from the deck is outstanding, we saw dolphins everyday. It was very clean & a wonderful home and view of water...Look forward to renting it again! Our stay was very relaxing and totally enjoyable. Best house we have stayed in yet! EXCELLENT VEIW!Very nice open concept. Wonderful vacation spot for three generations. 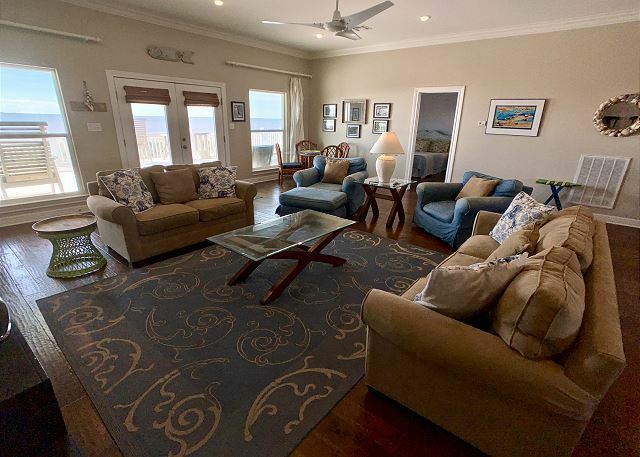 Beautiful beach home.Comfortable furnishings. Hope to rent it again next summer. We could not have asked for a better equipped kitchen. Everything was great. 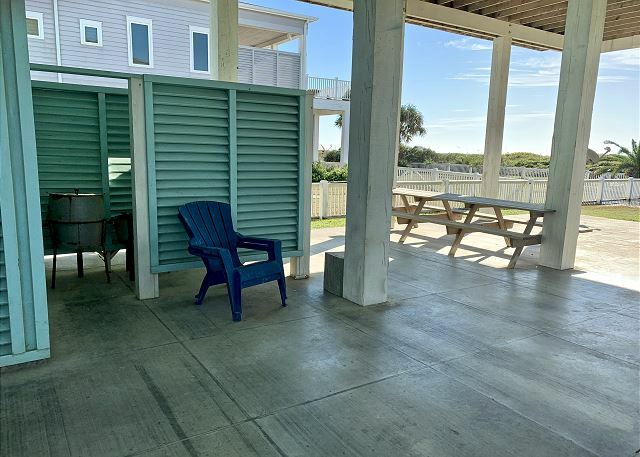 A very nice beach house rental with plenty of room inside and out for family and friends. Will rent again in the futute.